Here are the two announcements taken from the Microsoft Website. The Tasks menu option will be removed from SharePoint Online during the next few weeks. Additionally, the Sync to Outlook button will be removed at a later date. If you’re currently syncing a SharePoint tasks list to Microsoft Outlook, tasks will continue to sync for approximately one year following this announcement. The personal Tasks page will also continue to be available for one year. After that time, this functionality will be removed and will no longer be available or supported. The Tags & Notes feature of SharePoint Online has been retired. Users can no longer create new tags and notes or access existing ones. For a limited time, all existing tags and notes will be archived into .csv files, which can be exported from the SharePoint admin center. Only SharePoint Online admins can export these files. Still visible and enabled. The web parts will show up as blank when added to a page. Page will display a blank space in the area previously occupied by the web parts. Edit the page to remove the web parts. Social tags will no longer appear in the tags refiner. The refiner will still display hashtags. The area that previously listed tags and notes will be blank. Microsoft didn’t specify why they are killing those features, however not all companies were ready for the change. For example a user on SharePoint Community started a discussion asking members for help following the discontinuing of the SharePoint Noteboard. Since his company was using the Webpart in certain page layouts, he now wonders if he should start using Yammer, as Microsoft recommends in the discontinuation note or put newsfeeds in place. However the problem is that, we all know, Newsfeed would be a temporary solution since Microsoft is heading towards Yammer all the way. However, diving into Yammer right away would take a while for user adoption and might cost more expensive for the business (depending on the O365 plan already in place). Also, I personally don’t understand why Microsoft is killing the “Tasks” in the MySites. I showed off the new Task Aggregation in MySites at a few SharePoint Saturdays, and everybody loved it! We finally had the ability to see all our tasks from Exchange, SharePoint & Project Server in one place! I was wondering what do you think of this move by Microsoft. Do you think that disabling features with a short notice is ok? I do understand that this is how the cloud works, and companies that sign up for it already knew that features will be added and retired every day. But what happens when a feature you loved in the cloud goes away. Or you create custom development based on existing webparts which now disappear and you have to rethink it all over. Do you think moves like this will make companies delay their move to the cloud? Let me know in the comments! Hey Maarten, they are killing the full page! I too am disappoint to have learnt about the “killing” of tasks. 🙁 We have just managed to kill Basecamp in lieu of Tasks in SharePoint and now this! This is exactly what we just did. Killed Basecamp and used the integration with tasks to push them to everybody’s Outlook client. It is going to wreck us and make us move to another third-party app. As Microsoft moves to align more with the business world with O365, they need to keep a better pulse on what features the clients have become dependent. I agree also, this was something that we struggled with in 2010. An easy way to get all tasks into one spot. I thought this was the answer in 2013. I would like to know the reason for removing this functionality. I think the removal of the centralized task view in the users About Me page is a bad move by MS. My users really liked this feature when we were selling the whole differences between 2010 and SharePoint Online feature set. I can understand if there is a “new” feature being added to replace tasks, but MS should have communicated that up front and don’t keep your user base guessing as to why such a crazy decision has been made. Not impressed MS. What’s next for the chop….version control on document libraries? Killing features in Office 365 without communicating a good reason, is generating FUD in the marketplace. I am observing big concerns about the future of SharePoint since Office365 was launched. From Microsoft’s communication it is now understood, that new features shall be developed cloud first, i.e. for Office 365. Thereafter, they may or may not be brought to SharePoint. Many companies in Germany are still very reluctant to push stuff up in the cloud, though. Moreover, they started late to invest in SharePoint, as compared to other locales. 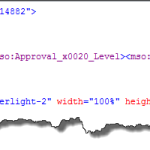 So new things (SharePoint) are being cut off leading to new investments and rendering the original TCO plans irrelevant. Killing Office 365 features at this stage is by en large adding to the doubts about the reliability of Microsoft as a strategic enterprise class vendor. Enterprises over here are used to plan strategically, i.e. they want reliability for the next couple of years. Office and SharePoint are the stronghold of Microsoft in the local enterprises. With more and more alternatives popping up by the year Microsoft should be very careful how their reliability record is perceived in the marketplace. I noticed with SharePoint 2013 on-premises / hosted that we cannot link tasks to Outlook either. As for news feeds, should I stop pushing my users to incorporate them in their sites, using them for team communications on SP2013? Should we wait until an affordable Yammer option is available for on-prem or just use discussion lists / communities? TJ, On-premise Outlook Task sync is disabled if you have the Farm feature “Farm Level Exchange Tasks Sync” Active. That farm feature requires Exchange 2013. I have to agree with Vlad and Ben, this is pretty disappointing. I really like the task list on Mysite as user has a one please to check all the task assign to him /her, it makes their life much easier. I hope MS will introduce better function before they remove this. 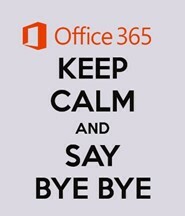 As Vlad mentioned it is very bad once MS remove exciting functionality , specially I have experience of comparing some other in house product with Office365 and other venders always mentioned that, Office 365 we don’t have any control and MS can do what ever they want. And they have used that point to promote their in house S/w product. So please MS stop doing this or introduce better functionality before you remove old functions. Few of these quick Redmond moves to remove features from cloud products will be annoying for some of the customers. I’ve seen customers moving from cloud back to on-premises (from other cloud products to SharePoint on-premises in few cases) just for some of those reasons. Any idea if the tasks changes will also impact SharePoint on premises? The task roll up across all sites and Exchange is a great feature. I have to agree with Bernd, it does not appear that Microsoft is talking to the customer when making product decisions. Right now Office 365 has the potential to take over the cloud market, but if we cannot rely on basic features to be there, and cannot trust that Microsoft is making decisions from a business rather than technical only perspective, then the advantage may be short lived. I have had my I.T. department use Tasks for my manager to … manage tasks he assigns and or Tasks that we are all working on, giving him an idea of how far along our progress is, and also for us to keep track of what we have to do, instead of putting it in something else, Excel, etc. Any reason why this would be going way? We’re On-Premises but I wonder why they’d think it was not good? We are on SharePoint 2010 SP2 Enterprise Edition On-Premises, however I am trying to get the company to convert to SharePoint 2013 SP1 Enterprise Edition On-Premises, and I know that you can have tasks show up in your MySites and that was a great feature. I think you have to step back and look at where they are going and what they care about. Not saying it doesn’t hurt and not saying it was the right decision. Tasks likely should be in the new “Groups” functionality not fully vetted. I expect it to move there. Tasks as it was, was likely performance hog and required a lot of extra plumbing and not many using it. Anything that requires extra sync across systems needed to be extremely strategic. In this new world, no need to have exchange tasks and sharepoint tasks. Only one needed. We’ll see who wins, my bet is on Groups or Project. There is a bigger picture here as it relates to incremental moves to new cloud services. It will hurt, but these incremental moves will be for the better… we have to hope and assume. Keep up the feedback though. They need to know it hurts. Microsoft continues to have a serious problem understanding the Enterprise customer. Their “whack-a-mole” approach with features is distressing as a corporate IT architect – I wonder when my recommendation of a feature will shoot me in the foot next quarter when MSFT cancels it. However, the way they talk about Office365 support borders on clueless. Several times when asking about a feature or capability that was lacking in Office365 the discussion has been about how SharePoint online is multi-tenanted, or that it’s using shared resources. It’s ridiculous – the pitch for cloud services is about not having to deal with resource restrictions, but it seems like every time we turn a corner in Office365 Microsoft is whining about having to conserve resources. Well if limited resources are such a problem on Office365, it’s a pretty strong argument for on-premise SharePoint and buying our own darn servers. Vlad, I don’t see a link to the actual Microsoft announcement, so here is one, http://support2.microsoft.com/kb/2998445. What is the status of the Work Management Service which does the work the consolidate tasks across SharePoint site collections and from Exchange and Project? I haven’t seen any mention of this service app being deprecated. Yes, I’d also like to know the future of Work Management Service. It’s a pretty new feature for MS to be abandoning it so quickly. That would be bad for even enterprise customers who come to expect that these features that are added will have a useful life of many years to justify the cost of implementing/upgrading/migrating. All this being said, I decided to take a look under the hood in MySite using SharePoint designer. I noticed that all the ASPX pages were still there in the root of my site. So, I copied them over to SitePages and made some links to them. Everything is working happily the way that it used to. I can’t imagine that’s a great long term solution if MS ever turns out the lights on the underlying services, nor would I recommend that to clients as a best practice (it’s clearly a hack). But, if anyone is stuck and needs to milk this feature just a little bit longer, you can take the advice for what it’s worth. We used to use Lightning Conductor Web Part to do task aggregation in 2010, but clearly that is not going to connect your Outlook and Project (ugh.) tasks. As a final note, seems like the past few years, Microsoft has been scaling back without offering clear replacements for even a subset of the functionality these older features once provided. If anyone at MS is listening, we understand you have your secret development projects and stuff, but how about you get into the habit of unveiling your new offerings *first* and then decommission the old products and move people from the old to the new? This habit of not telling anybody of what is coming down the road (or when) – which by the way I have seen it happen even going back to Site Server in 2001 when you were planning to replace it with Portal Server and NCompass Resolution – has got to come to an end if you want to remain dominant in the industry. Sometimes, constant change for change’s sake is just another way of saying “slow-motion suicide”. Is there a place online where one can find an up to date comparison of what features are in SP 2013 but not Office 365 and vice versa? I know there are some older pages that describe things at a pretty high level, but as far as I can tell, those pages are not being updated as old features are deprecated and new features are added. Unfortunately I don’t know of any :(.. with the cloud changing so much it would be tough to keep up to! Look for updated charts in May/June when MS will probably announce plans for SP vNext at Ignite! Just started working with a Yammer solution on a SP Online site to handle user comments and it is absolutely substandard compared to notes. The UI is clunky, but the bigger issue is security. Instead of handling security in one place at the SP site level, you now have to do it in two places – at SP and in Yammer. In my scenario user comments are considered restricted. Also, a user can override what Yammer group they use for comments, so we’ve actually lost security. This was a bad decision on MSFT’s part. Yammer isn’t ready. Just like all of the comments I think it’s a terrible move form MS.
We have been telling clients “finally ! you can aggregate all your sites tasks in on view” and now we will pass for fools, but what’s most important, is : what is the alternative ? Should client start getting away from SharePoint when it comes to tasks lists management and use the like of Asana, Trello, Basecamp or even Wunderlist … ? Yammer is definitely not ready for that, nor is Jive as it’s a different culture approach that is not yet ready for most users. are they removing the “Tasks” app on a sharepoint site also? or is it just the sync option? Only the task aggregation feature! you can still have “tasks” lists on the site, but you won’t be able to see all your tasks from every site in one place. Granted, it is nice having it in place and not having to set it up. With the introduction of OneDrive and Yammer I can see why the Mysite is slowly being removed one future at a time. If you think about it your MS Live account (corporate or personnel) is your profile for these kind of syncing. Mysite and some of the features in it would be a duplicate. That is my hunch at lest considering the current moves. I am using Tags/Notes features in my company. But I don’t know why this feature can share and publish to other users when I do tags/Notes on a document item but for a Task Item is only private to owner tags/Notes. Please help me with this problem. Thank you very much.